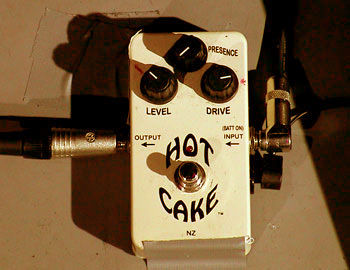 This is the overdrive pedal that Mark Knopfler uses. 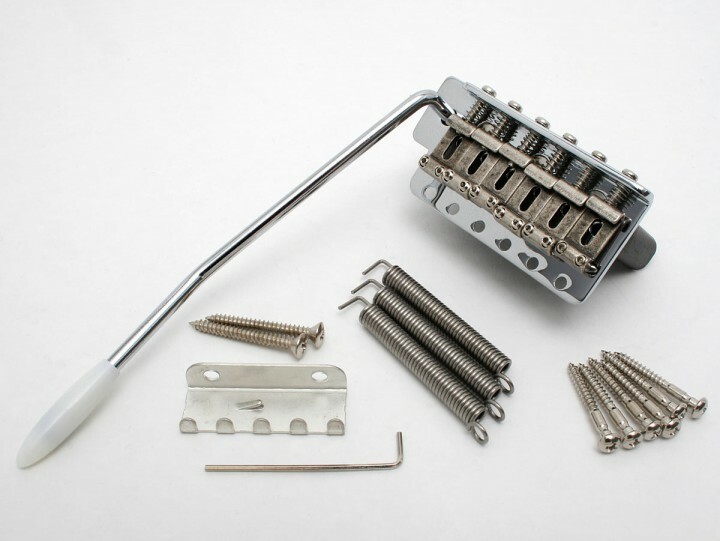 Together with his volume pedal it was the only floor effect on e.g. his 2005 tour (see pictures 4-6). He had probably two reason to chose the Hotcake: one is sound, the other quality! 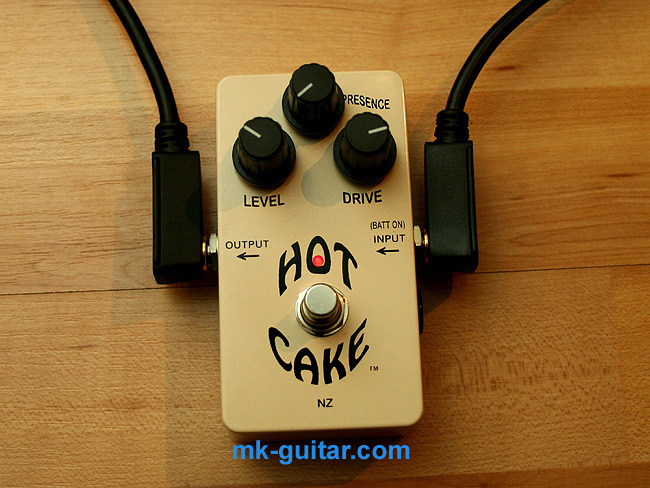 The Hotcake is built by Paul Crowther in New Zealand who makes it with only the best available components. 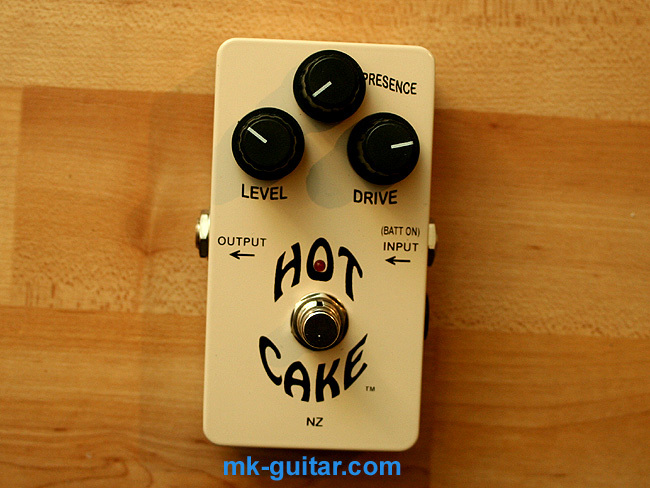 What is really great about the Hotcake is that it does not alter your clean sound, unlike other overdrive units that even with minimum (or no) distortion totally change your tone. 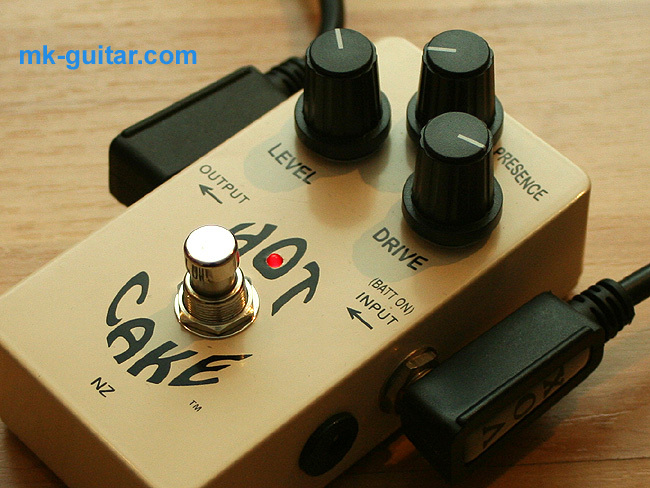 With the drive control down, the Hotcake is totally clean and your sound is identical to what it is without. 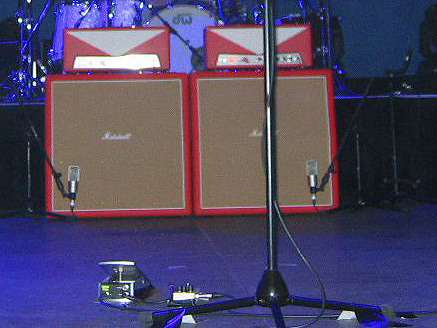 For this reason it is also ideal to boost your guitar signal to get more drive from a tube amp. 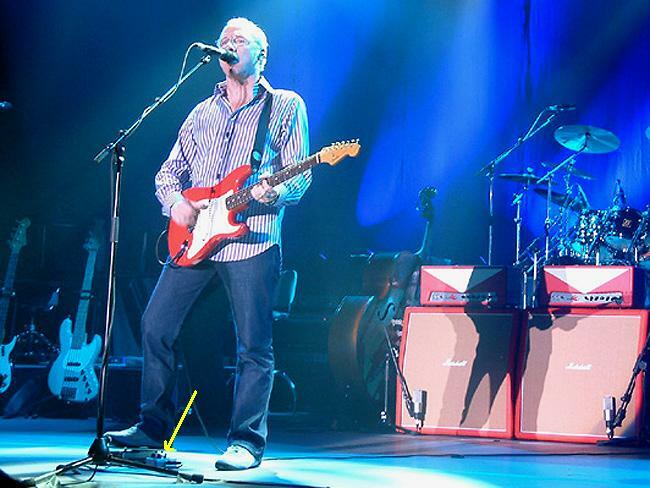 Now turn up the drive control to get the desired amount of distortion, starting with a subtle crunch, over a creamy overdrive (picture 4 shows Knopfler's setting for the song Boom like that), to a fat and thick distortion. 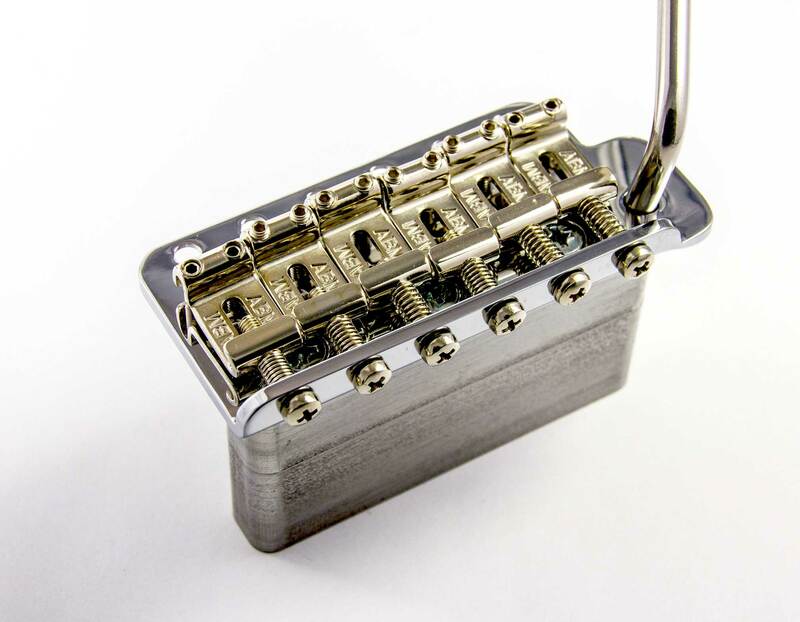 In fact even with a single coil guitar and the drive at maximum you get much more distortion than with typical tube screamers. You can't go wrong with it. Brand new, unused, in original box, at a hot price!